This past weekend, the Twin Cities were the host for the first Caffeine Crawl to grace the Upper Midwest. The Caffeine Crawl was the idea of The LAB, a group so passionate about quality beverages that they wanted to highlight local businesses that are dedicated to excellence. 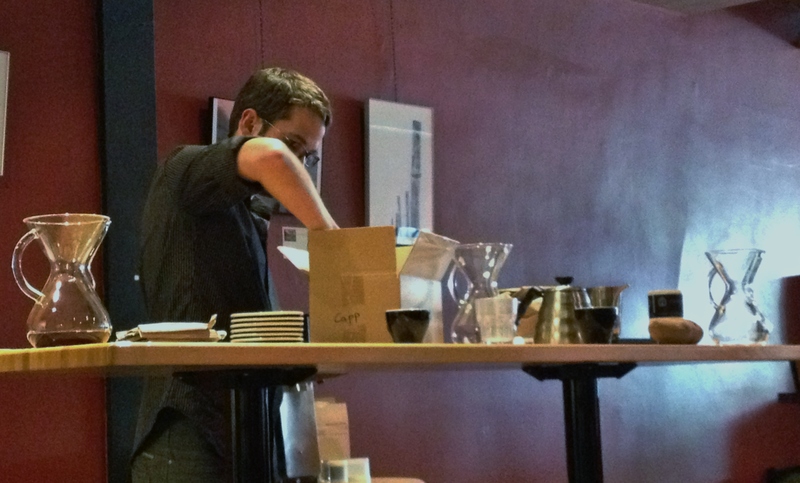 At the Caffeine Crawl, participants sampled some pretty amazing coffee and tea. In addition, the participants had the opportunity to learn more about the quality, technique, and roasting process of the products. At each stop in the crawl, there was a brief presentation and a selection of free drinks available to attendees only. Participants: Bull Run Coffee, Cafe Imports, Dogwood Coffee with Gray Duck Chai, J&S Bean Factory, Peace Coffee, Publika, Quixotic Coffee, Sebastian Joe’s and TeaSource. Apart from knowing that I would be consuming 10 times my regular caffeine intake, I wasn’t sure what to expect from the first caffeine crawl to hit the Upper Midwest. Were we only going to be drinking coffee all day? Absolutely not! I have to give a shout-out to The LAB and all of the many sponsors of this crawl. Not only did the participants get to sample AMAZING specialty coffees, chais, and teas, but we also had the opportunity to learn a thing (or two) about the sourcing, production, distribution, and preparation techniques of our favorite beverages. There were two routes to choose from for this crawl. One route covered many specialty coffee and tea cafes in St. Paul and the other had more stops in Minneapolis. I was excited that my ticket took me on the St. Paul route because, as you could probably tell from my previous posts, I haven’t had the opportunity to write much about our state’s capital. Not only was I shocked that I was missing so many great places, but I was ecstatic to meet the passionate people who bring Minneapolis/St. Paul residents something of quality and something that should be enjoyed. I definitely want to share these places we toured with anyone who is willing/excited to explore a new place. You won’t be disappointed. Now, on to my route for the Caffeine Crawl. All of the participants met at Peace Coffee Roasting Facility where we were greeted by their staff and Jason Burton from The LAB. We were given a detailed tour of Peace Coffee Roasting Facility that included the history of their company, a look at their roasting techniques, and information about the growth and sourcing of their coffee beans. 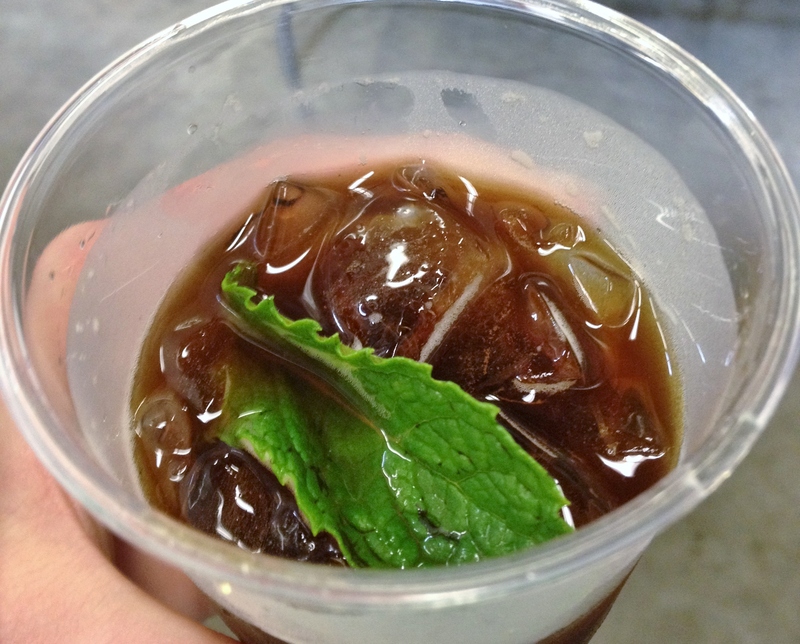 Towards the end of our tour, one of their baristas from Wonderland Park prepared a cold press coffee drink inspired by southern mint juleps. What a great way to start our crawl! We made the 12 minute trek from Peace Coffee to J&S Bean Factory in St. Paul for our second stop. The Bean Factory, established in 2001, is an independently owned, local coffee shop and roastery. 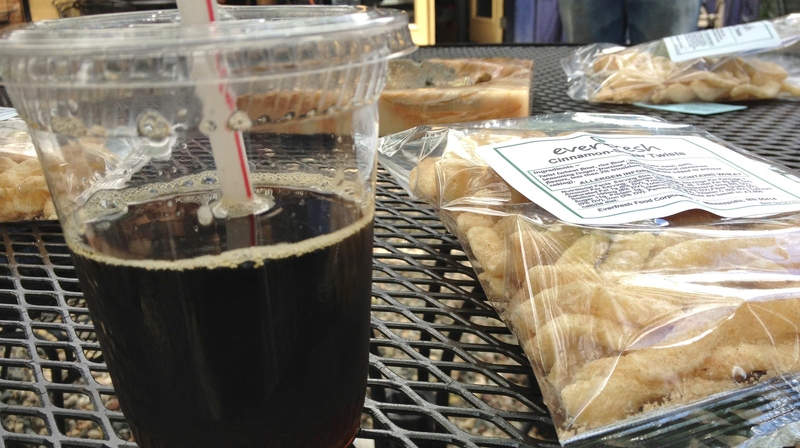 Here, we were able to enjoy a sample of their cold press coffee and a bag of cinnamon twists from a local producer. While enjoying their cold press and lounging in their spacious outdoor patio, we watched a coffee bean roasting demonstration. 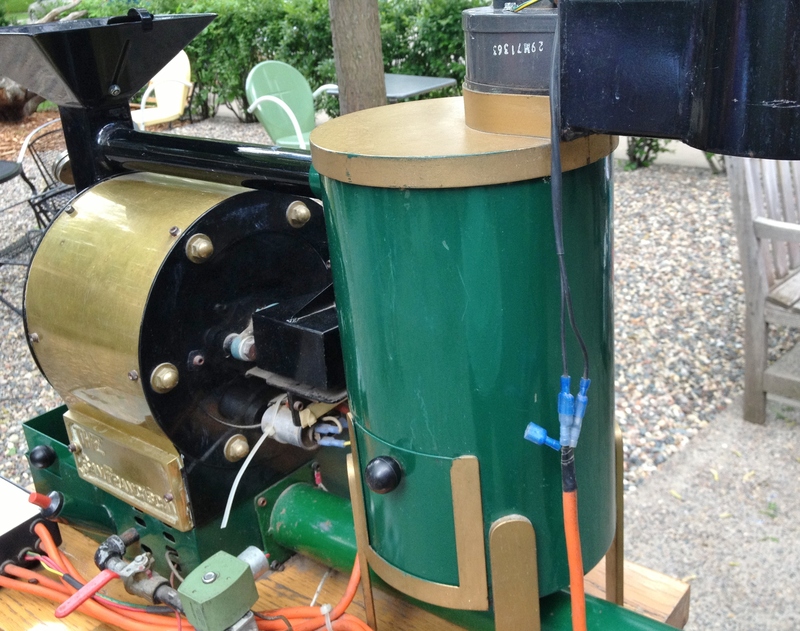 The unique part of this demonstration was that they were using an original roaster from San Francisco. It’s so old, that it’s serial number is literally all zeros. That’s pretty cool. Here, the cold press was a combination of a French Guatemala roast, an Ethiopian roast, and java. Luckily, at this point, I was pacing myself and didn’t feel the affects of caffeine yet. I would definitely come back here. The baristas were very knowledgeable of their brewing and roasting techniques in addition to having a humor-filled personality. Not too far from the J&S Bean Factory was our next stop, Tea Source. This was actually one of my favorite stops. While I’ve always enjoyed a good cup of tea both full-leaf and teabagged, I never really bothered to research tea production and the differences amongst each variety. Thanks to Tea Source, I now have a little more knowledge of tea varieties and tea growing than the average person. 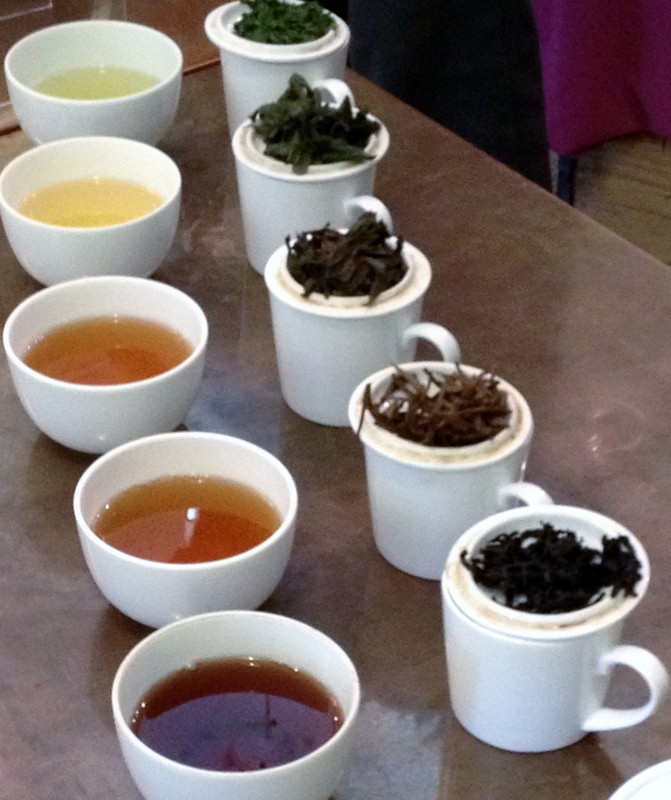 Here, the staff at Tea Source gave us a thorough presentation on six different types of teas from Asia. The first tea was a green tea from Japan that had an ocean-like taste. One good tip I’ve learned about green tea is that you don’t boil the water when preparing it! Next was a florally oolong from Taiwan followed by a Big Red Robe oolong from China. The last two were black teas from China. One was called Golden Dragon and this one was my favorite. It had a nice, smooth taste and wasn’t too strong. The last black tea was from the Yunnan province and had a very strong, earthy taste. Definitely check this place out! They have over 230 teas to try and a very knowledgeable, passionate staff! Quixotic Coffee was literally right across the street from Tea Source, which made getting to the next location on the crawl a snap! By the time my group arrived here, it was around lunchtime. We needed something quick to not only fight off hunger, but also to absorb the intense amount of coffee and tea we had been downing all morning. 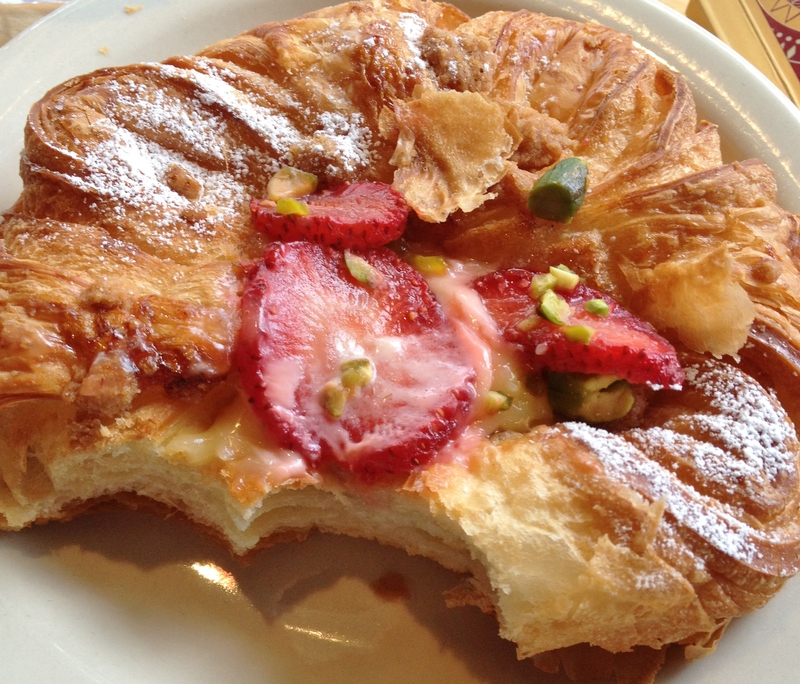 Thank you Quixotic for your ridiculously good strawberry pastry with pistachios. Yes, I did just say I had a pastry for lunch, but look at the picture below. Can you blame me? After doing a little digging, this blog post had the most information I could find about the potato defect. By this point I was definitely feeling a caffeine high. With headaches creeping up and more energy than I could handle, thank goodness the next stop was to Cafe Imports. Cafe Imports is an importer of specialty coffee beans from 20 countries. They are considered one of the best distributors and they sell their beans to specialty roasters worldwide. A few of their clients include Dunn Bros. Coffee, Bull Run (Mpls local), and Dogwood Coffee Company (also Mpls local and the last stop on our crawl). If you have an opportunity to tour a warehouse, especially one that is filled with 23,000 large bags of coffee, take advantage of it! 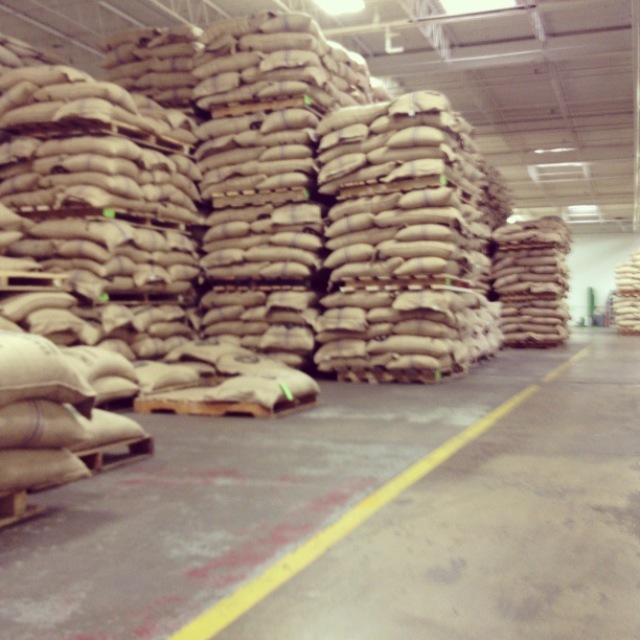 Seriously, when are you going to see 23,000 bags of coffee in one place? Oh, you saw my picture below? You’re welcome. For more information, please check out their website in the hyperlink. This last stop was done in two parts. There was Gray Duck Chai and there was Dogwood Coffee Company. First of all, let me say that I love chai. I really love chai and Gray Duck Chai has now captured my heart as my No. 1 go-to for chai. Let me begin by saying that they gave a brilliant presentation. 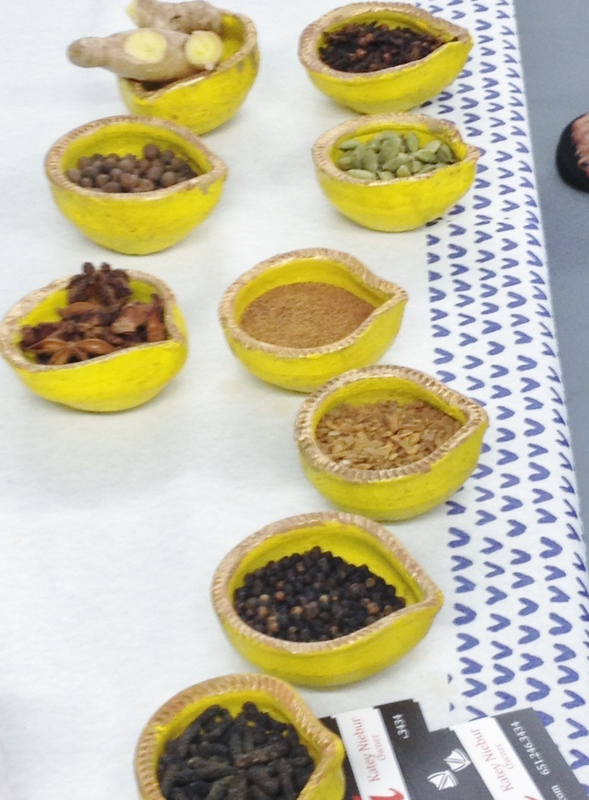 Not only did they make the chai in front of us, but they also presented and discussed the attributes of all the spices and ingredients. Who knew that cloves have 12 times the amount of antioxidants as the acai berry? This was just one of the many interesting facts we learned from their presentation. As for their chai, it was excellent and prepared like masala chais on the of streets of India. You can’t get more authentic than that. The authentic masala chais have strong notes of pepper and ginger. Gray Duck Chai definitely incorporated these two spices to dominate the flavor of their chai. Now, I’ve been to Dogwood Coffee Company’s cafe before in Uptown Square and I’ve enjoyed their hot miel coffee. Dogwood Coffee Company began three years ago and was originally housed near Lake Calhoun in Rustica Bakery. In 2010, they opened their own cafe in Calhoun Square and have been there since. 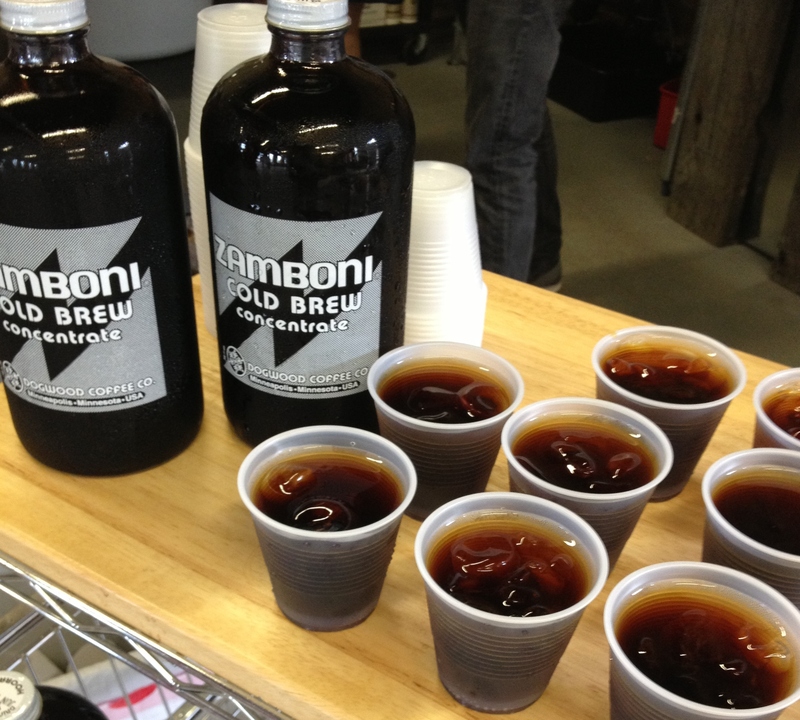 At their roasting facility, they chose to highlight their Zamboni Cold Press coffee. In my opinion, perfect time for summer! This coffee is a light-medium roast and had a nice, strong flavor. Currently, they hand-make all their Zamboni batches for wholesale consumers, but they stated that they’re getting ready to produce smaller batches for individual sale. I’m pretty excited about that announcement! When things were all said and done, all crawlers met up at Common Roots Cafe in the Lowry Hill neighborhood for the after party. At Common Roots, crawlers were given free samples of Fulton Beer’s collaboration brew, War and Peace. 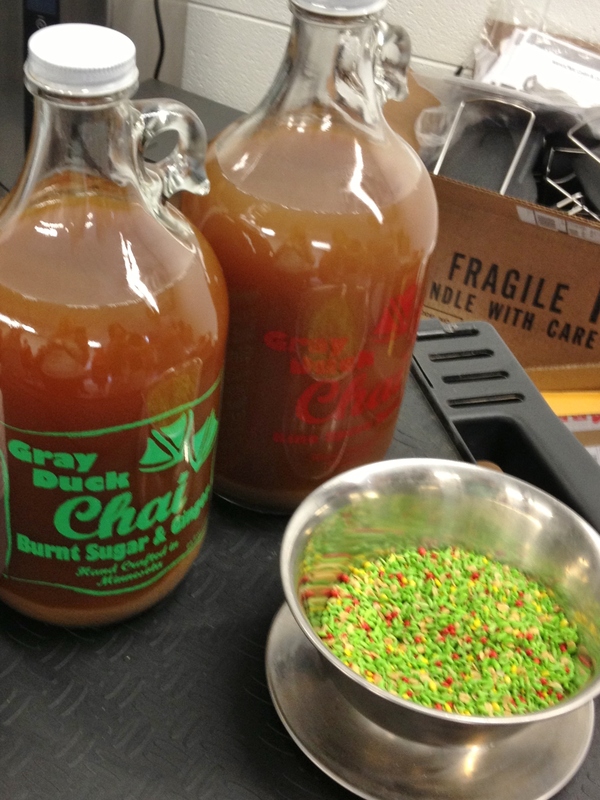 If it’s being offered for caffeine crawl participants, it’s no surprise that the beer has coffee brewed into it. In addition to sampling coffee beer, the after crawl included a raffle where proceeds were directly donated to Books For Africa. For such a wonderful event, I would like to thank all of the sponsors listed below. This was truly a fun and informative day! The LAB, Books for Africa, Peace Coffee, Dogwood Coffee Co., Barista Magazine, Stella di Caffe, yelp, Wholesome Sweeteners, Sleeve a Message, Rip van Wafels, and Baratza.